Searching for a company to use when you need to post bail can be extremely difficult. First of all you likely never pictured yourself needing this service, but people post bail for a friend or family member everyday for the first time all across America. A quick Google search will likely yield several results for local bail bond agencies, but how do you know which one to use? There are a few key qualities that will set a professional bail bond agency apart from the rest. So don't just call the first company you find, make sure they posses the following four key characteristics of an expert bail bond agency. The standard premium for bail bonds in California is around 10 percent of the total bail amount. It is integral that the company you use does not overcharge you with strange service fees or other figures for things that you don't understand. The reason for this fee is to ensure a timely posting of the bond. Arrests don't always happen during the most convenient hours. 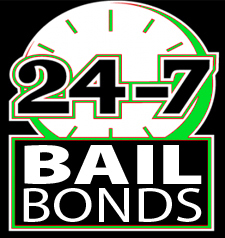 For this reason you will want to find a bail bond business that offers their services 24 hours a day, 7 days a week. Not only is this convenient for you but it shows that they are dedicated to working hard for their clients regardless to the position of the sun. More than likely you didn't budget for this unfortunate event. For that reason it is imperative to work with a bail bond agency that will work with your finances to ensure that you're able to afford the bail premium. This may include the acceptance of a credit card, posting bail with collateral or some other sort of payment arrangement. One of the most important things to look at when searching for a bail bond agency is how long they have been in business. If a company has been helping community members for more than a decade you should feel good utilizing their services, as this shows a longstanding ability to conduct their work. When it comes to posting bail in Yuba City or elsewhere in the vicinity the team to talk to is at Rob Brown Bail Bonds. We offer superior bail bond services in Mendocino County, Sutter County and the surrounding areas. Give us a call today at (707) 587-4563 to learn more about posting bail in California!